Yesterday during foundation stone laying ceremony of the India International Convention and Expo Centre, Prime Minister Narendra Modi remarked that Indian telecom sector has revived from its “Dark” period and placed itself as one of the fastest growing sectors of the country. He also remarked that telecom sector has improved to such growth that India will soon walk into 5G era. 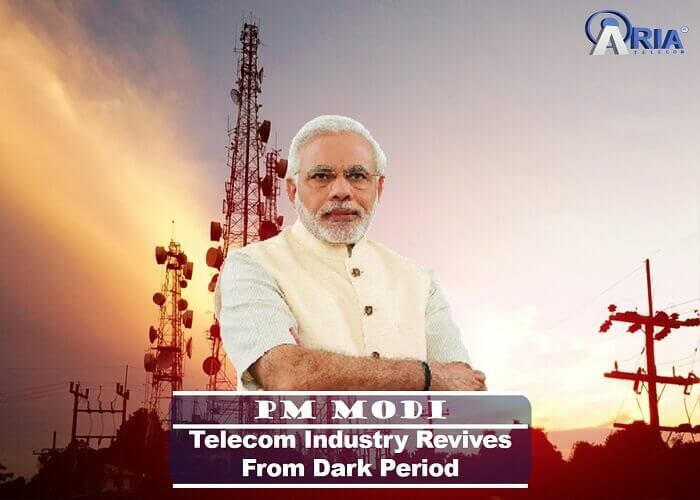 Prime Minister Narendra Modi also added "The country's telecom sector has come out of the darkness that prevailed 5-6 years ago," during his speech in the ceremony. After the alleged 2G scam of year 2010, and cancellation of 122 licenses issued in 2008, the sector faced its darkest period. However, in last few years, the sector has surprisingly revived itself from all these jolts. The entry of Reliance Jio in 2016 and bringing up significantly low tariff 4G has helped the established players of the market to revive. On the current scenario of Indian Telecom sector, PM Modi has remarked that now calls are almost free, 1GB 4G data costs 19-20 which shows a great success of the sector. He further added “so, the common man has received the power of Internet and the industry now has new opportunities for business."